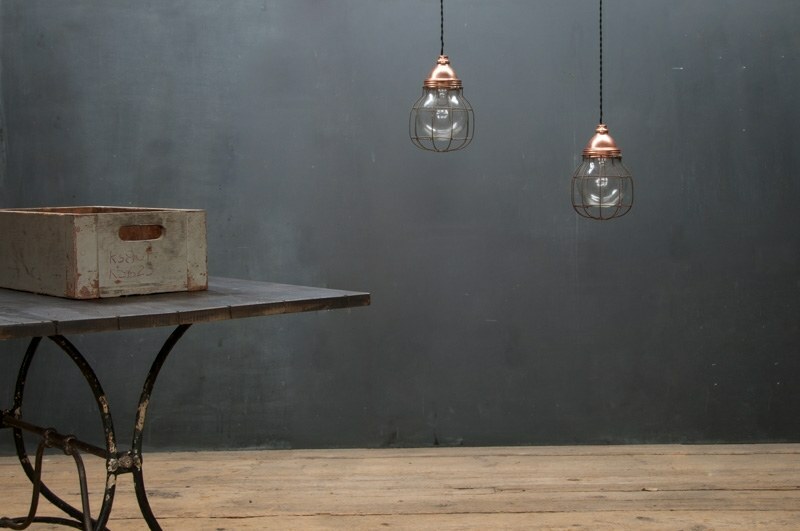 USA, 1940s, Vintage Industrial Copper Topped Caged Pendant Lights. 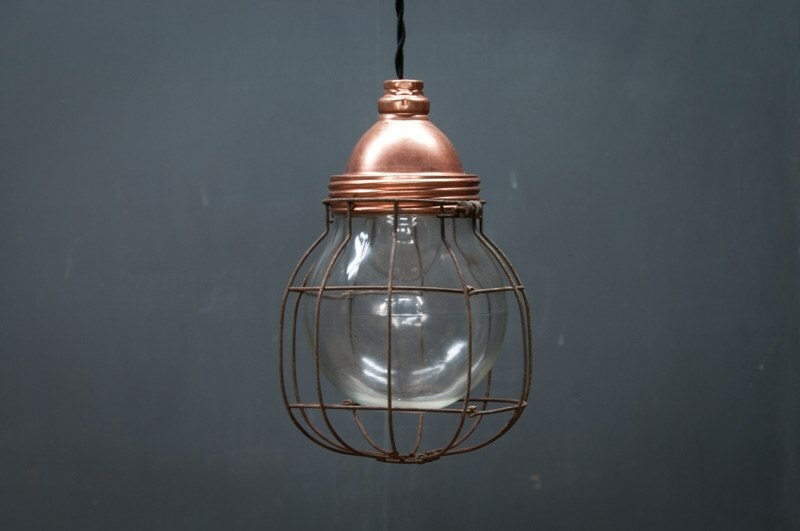 Heavy Glass Bulbous Globe with Wire Cage. Fully Rewired. 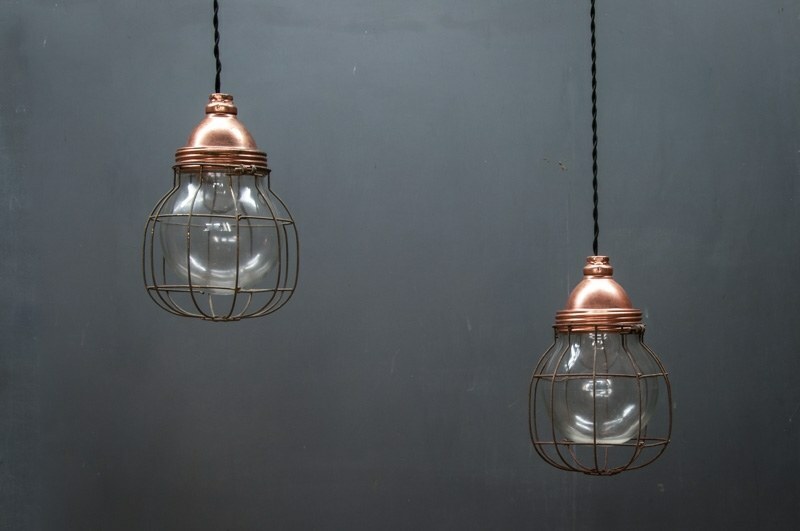 Can be Hung on a Threaded Pipe or Chain. Pair Available.